A synthesis of simplicity and lasting value. The robust pendant is crafted from finest-quality brass and hard coated by physical vapor deposition with an extremely durable surface finish in matte black. The ring itself is made from chromed steel. 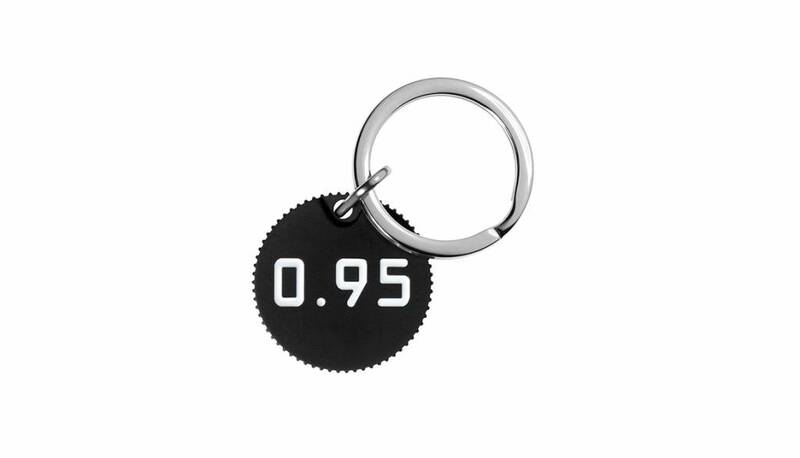 The ‘0.95’ engraving is filled in with white Dupont lacquer, transforming the plain and simple design of the keyring pendant with its characteristic knurling into an elegant eye-catcher.